Helmets are optional. Yes, it is true. In some states, motorcycle, scooter and ATV riders can choose whether they want to use a helmet or not. But when you consider that helmets reduce deaths by 37% in accidents not involving an automobile, it becomes clear that putting a helmet on is the right choice! So, while it may be true that many states leave different options open to the rider, experts everywhere agree that by choosing a helmet, one chooses safety. 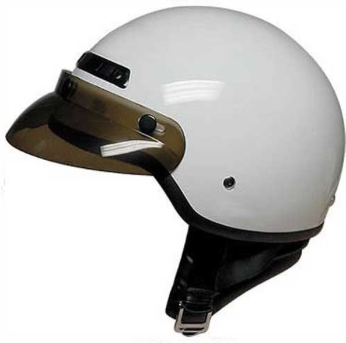 In fact, according to the American College of Emergency Physicians, helmet usage is the single most important factor in surviving a motorcycle crash. Helmets help prevent serious brain injury as well as other injuries to your eyes, nose, mouth and even your chin. Helmets with protective face guards can shield the face from debris such as dirt, rocks. insects and even birds. It’s no surprise that when riding a motorcycle, go kart, dirt bike, scooter or ATV, one should always sport head protection.